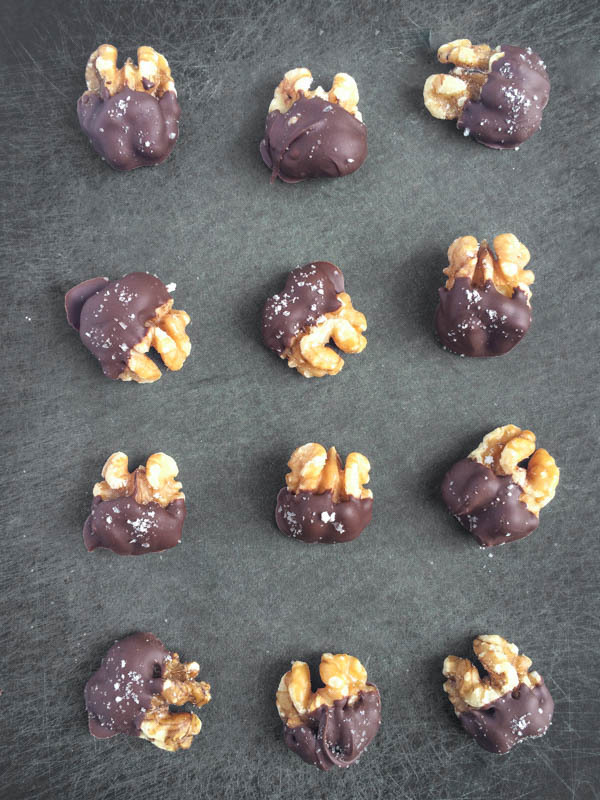 A quick and easy chocolate dessert recipe, dark chocolate is melted then sprinkled with chopped walnuts, dried cherries and sea salt. 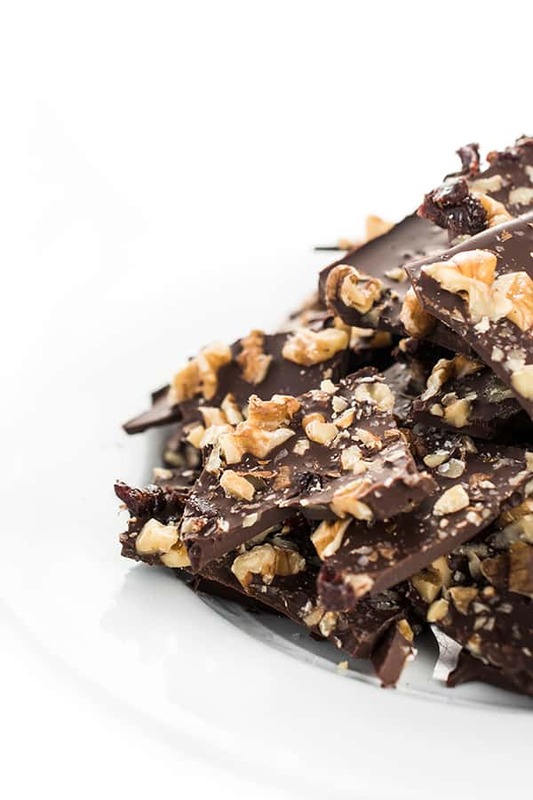 Your family will love this dark chocolate bark recipe! 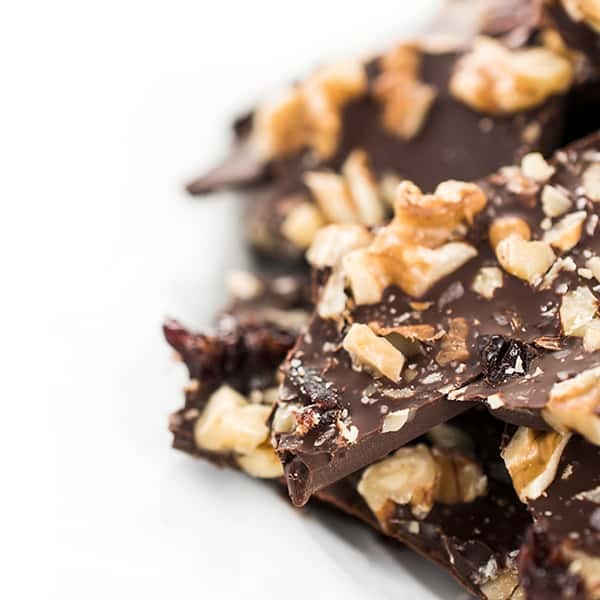 If you love the combination of dark chocolate and sea salt as much as I do, look no further than this quick and easy chocolate bark recipe! It literally takes minutes to make and the end result is an absolute show stopper. 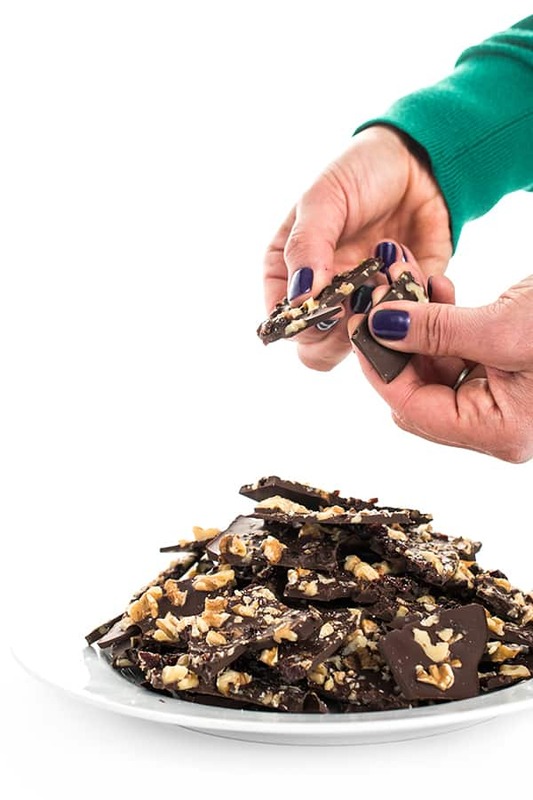 To start, you’ll want to melt your favorite dark chocolate over a double boiler. Don’t be intimidated by the technique. It simply means you’re going to simmer a couple inches of water in a pot then place a metal or glass bowl on top to gently melt the chocolate without burning it. 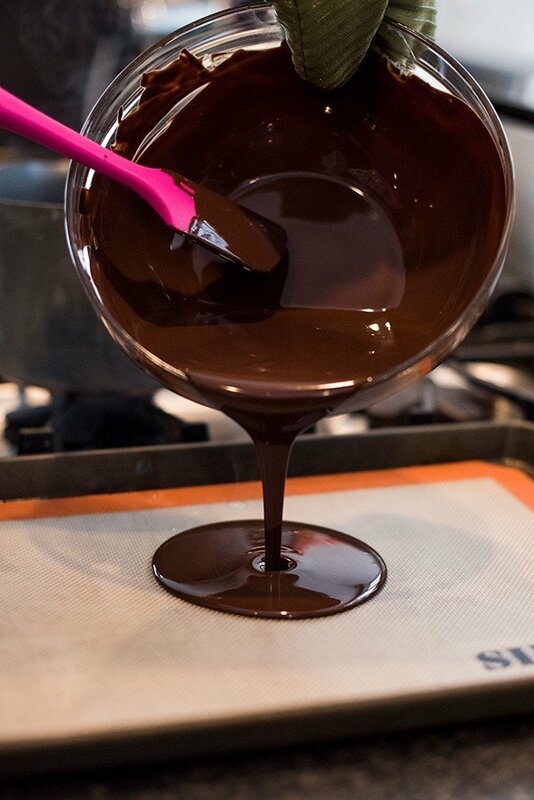 Once the chocolate is smooth and creamy you simply pour it on top of a large sheet pan lined with a silicone baking mat or parchment paper. 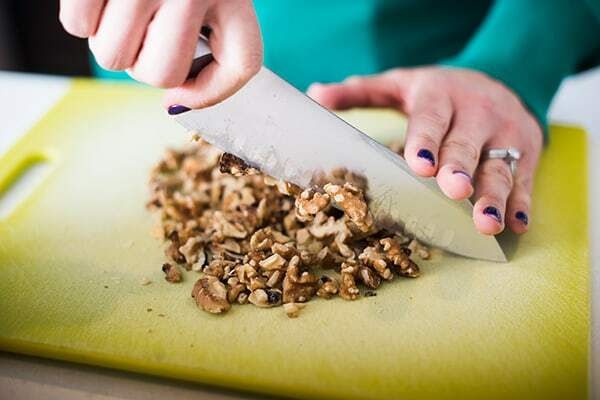 Next, chop up a bunch of walnuts and dried cherries to sprinkle on top of the melted chocolate. Not a fan or dried cherries? 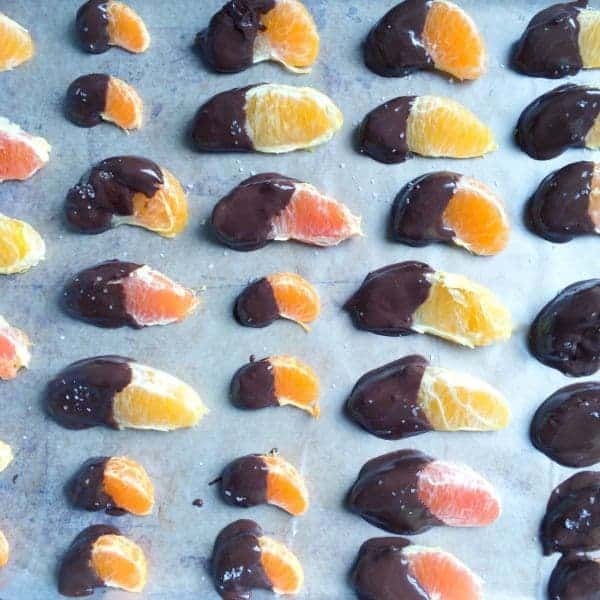 Try dried apricots instead. Prefer almonds or cashews? Go right ahead. Want to add a pinch of cinnamon or cayenne? Be my guest. As always, this is just a method, not a specific science or formula. The best part? 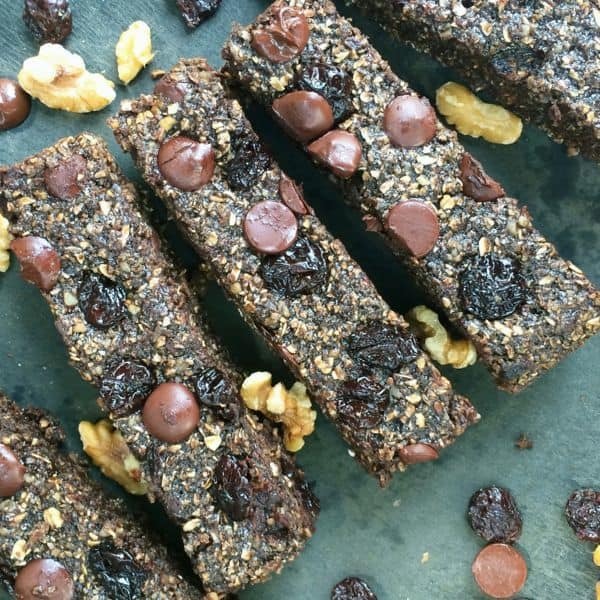 This tasty little treat is loaded in antioxidants, vitamins, protein and fiber. 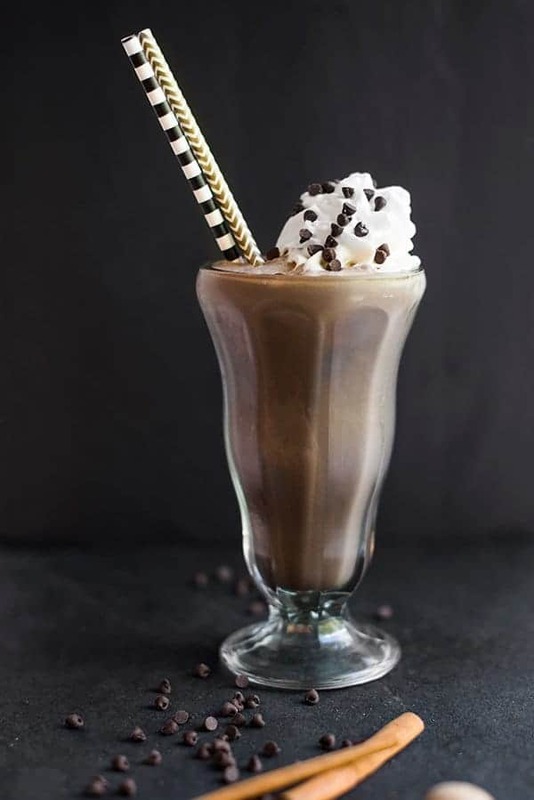 You’ll notice there is no corn syrup, butter or refined sugar in sight. 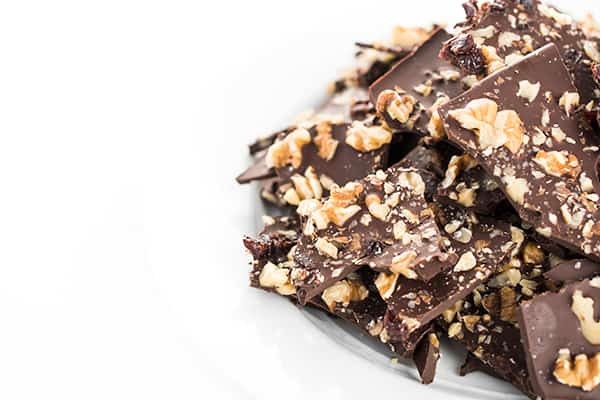 A quick and easy chocolate dessert recipe, dark chocolate is melted then sprinkled with chopped walnuts, dried cherries and sea salt. Line a baking sheet with foil or a silpat and place in the freezer to chill. Meanwhile, combine walnuts, cherries, ginger and sea salt in a bowl and set aside. 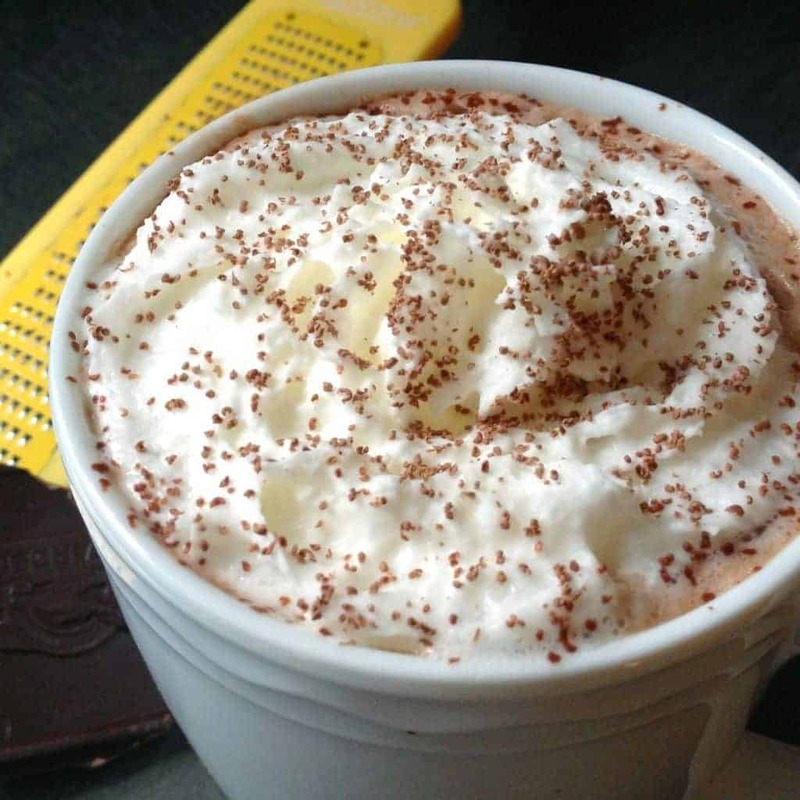 Break chocolate into pieces and place in a double boiler or a heatproof bowl over simmering water. 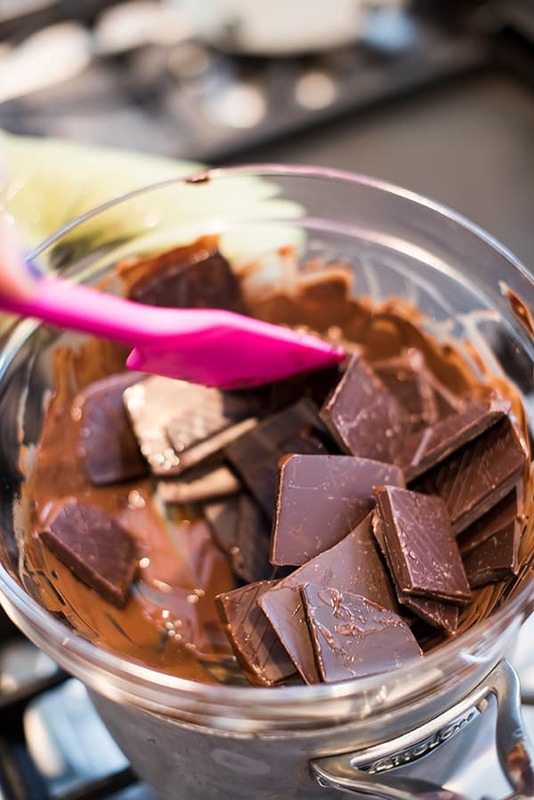 Stir frequently with rubber spatula until chocolate is completely melted, about 5-6 minutes. 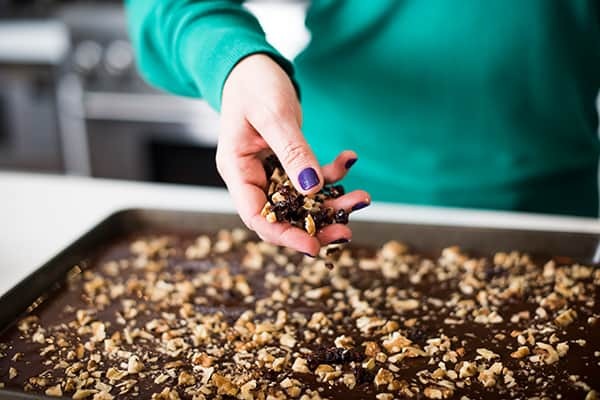 Stir in half of the fruit and nut mixture then spread onto chilled baking sheet. Use the spatula to shape a rough rectangle. Sprinkle on the remaining fruit and nut mixture and place in the refrigerator to chill. Cool completely, at least 60 minutes, then break into pieces. Serve immediately or store in a Zip-loc bag in the refrigerator. Interested in more dessert and baked goods inspo? Check out my Pinterest board! I am definitely going to try this one. Thanks for the recipe. Love this! I am a big fan of different types of bark at the holidays–I love the crystallized ginger–I’ve used it in pies and it is wonderful! Could eat a pretty big chunk of this RIGHT now. haha me too!! Thank you Laura! Yes, please!! I made chocolate lollipops last Christmas and used ginger in them-so yummy! The sea salt sounds like a wonderful addition too! !